RMHC Manitoba guests, the Campbell family, 2016. 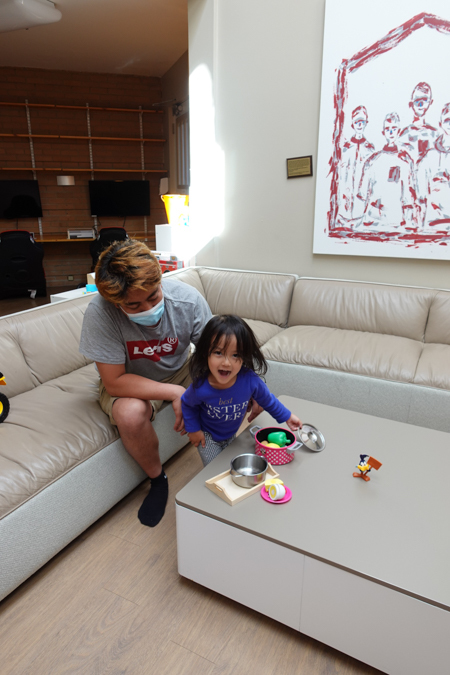 To apply for a volunteer position at one of our two core programs (Ronald McDonald House or the Ronald McDonald Family Room) please complete our application form. Prior to an interview, you need to have initiated or completed a vulnerable sector criminal record check within the last three months. For Winnipeg residents, please click here to complete your check. For those living outside the city of Winnipeg, please apply at your nearest RCMP detachment. Once we review your application and you are considered a potential candidate we will contact you to set up an interview. Following your acceptance, you will receive comprehensive training suited to your volunteer position. To volunteer at any of our special events (Hope Couture Fashion Gala; Red Shoe Crew Week, featuring the Red Shoe Crew Walk; FORE! THE HOUSE Tournament of Champions golf tournament) or to volunteer in another capacity please contact Family Room & Volunteer Manager, Kasia James, by email at kasia@rmhmanitoba.org or by phone at 204-787-4626.